X Rebirth has been out for about a week now, so I figure it is a good time to give my initial impressions of the game. It's important to note that the game is called Rebirth for a reason and not X4. It shares a good bit with its predecessors but is also a fresh start. Graphics. The space graphics are pretty cool. Stations are huge complexes which look great. The lighting is also amazing. My GTX680 has been keeping up so far, although I have not witnessed any large fighs yet. The environments are also outstanding, with a lot of variety between areas. Bugs. Sadly, the game is pretty buggy. I hit one issue that prevented me from continuing the main plot line, that is until someone figured out how to correct it by editing the save file. I shouldn't have to do that. To EgoSoft's credit, they have been diligent about releasing patches. During my time playing the game, I've had a few CTD's, so saving often is highly recommended. F5, quick save, is your friend. Console. It is pretty clear that X Rebirth was meant for a console. In fact, I use my xbox 360 controller to play the game. The menus scream console. It would also explain why it seems like some of the depth which made earlier games is gone. Now the question is, which console and when? Plot. No spoilers, but the plot line has been pretty slow so far. I've been doing a lot of flying, and not much of anything else so far. Hopefully it'll pick up soon. I'm really just using the plot as a tutorial before I get down to the real draw of the game: free play. Trading. Trading was one of the major features of previous X games and it is again in Rebirth. The problem is, it is not very user friendly at the moment. To start, you have track down all the traders on a station since there are usually multiple. You can purchase a Trade Computer which will gather all of the merchant info for a station by getting close to it. The data you gather is only temporary. After 2 hours it will disappear from your trade list. Unlike previous games, there does not appear to be satellites which can be used to keep getting updated data. That means you'll have to revisit all of the stations to add them back to the trade list. Stations. In Rebirth you can now dock with and walk around in stations. Sorta. They use the same ~3 interiors for every station. You can then walk around and find vendors, folks to hire and mission objective NPC's. I think this was a completely unnecessary feature and doesn't really add much to the game. Skunk. In Rebirth, you are limited to flying one ship, the Albion Skunk. In previous games you could fly almost anything. I always thought that was a great feature, so I am sad to see it taken out. Your ship is pretty limited in what it can do. For example, you can't trade goods, you have to have a freighter to order around. Combat. I haven't done too much fighting yet, but what I have done has been fun. Modding. The modding community is alive and well in X rebirth. They've already released mods which change the game in significant ( and sometimes better) ways. I will be going over some of the mods in future posts as I use them. Overall. I have to say I am a bit disappointed in the game. It seems to be much more restrictive than the other entries into the franchise. It just feels like a step backwards. That's not to say there isn't potential for it to be a good game, it'll just take some time and a lot of patches. At the time of this writing, you can't stream to Twitch using your XBox One, but you can watch it! The app is easy to install. You can do it via voice: "Xbox, Bing" then say "Twitch" It should pop up. Install, and Pin it. The quality was fair, it does crop off the edges of the picture. I was playing it as far away from my wireless router as I could get and the quality was good. I plan on using this for some of my late night stream watching. Just another way to watch Twitch in addition to my Roku and PC, of course. There should be a Clear All button available at this point. Just choose that and it should wipe out the Pending Trade. It doesn't seem like this fixes stuck trades, like in the deliver 100 Energy Cells plot mission. I had to initiate a new trade for it to show. I have a problem. There is a ton of stuff I want to do, and not enough time in the day. This pesky day job takes up a majority of my time. Maybe I should think about retirement. Overall, having too much to play is better than not having enough. Lets run it down. Europa Universalis 4. I've been playing as Venice, but I really want to give Portugal a go. The Conquest of Paradise expansion comes out December 11th and features randomized territory to explore. I may hold off on playing again until then. Galactic Starfighter. SWTOR's next expansion comes out in early December (for subscribers). I am in the beta for it and have had a good time. 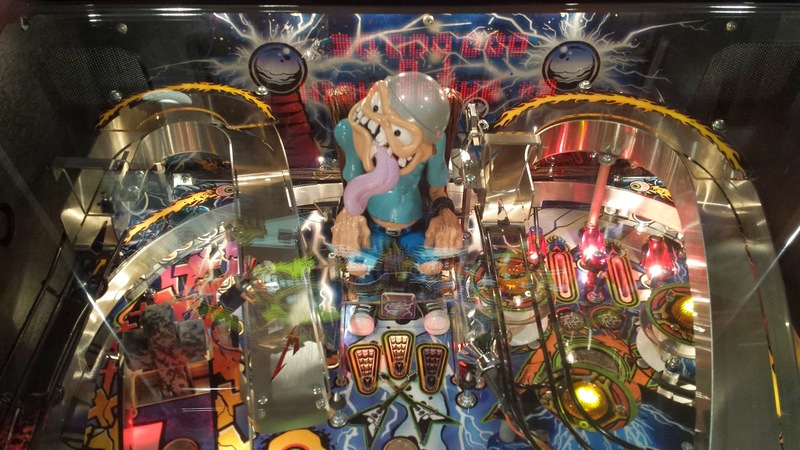 It is a different experience from the rest of the game and could be just what the Doctor ordered to freshen things up. Mystery Beta. I was recently invited to a new beta. It's a game I have been keeping my eyes on, so I'm looking forward to trying it out. X Rebirth. The latest in the X franchise, rebirth has been a mixed bag so far. The Egosoft team has been releasing patches and the mod community has been hard at work. It's improving daily and has been scratching my space itch. XBox One and Dead Rising 3. My XBox One arrives today! I ordered Dead Rising 3 to go along with it. I'll definitely be spending some time with the new system and game. 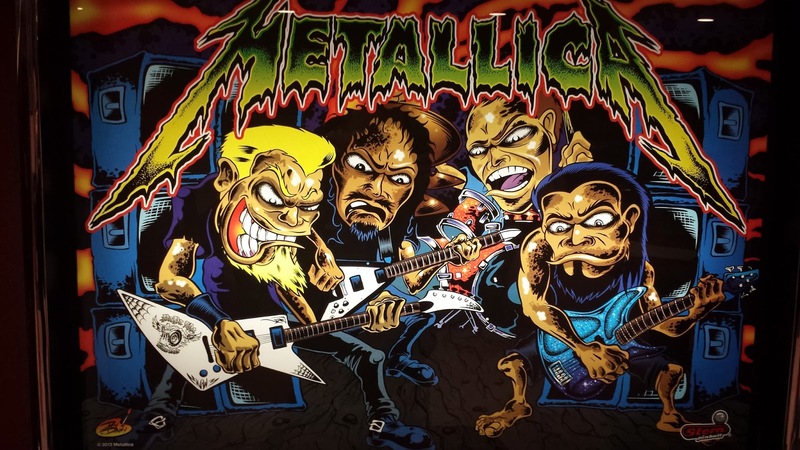 Metallica Pinball. 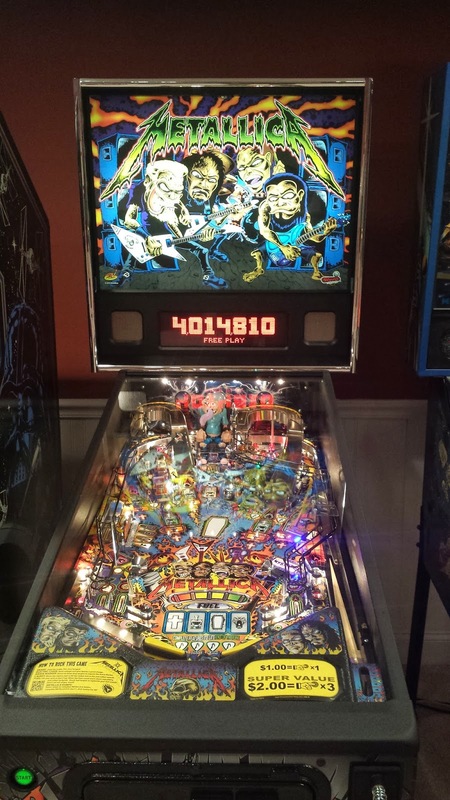 I wrote earlier in the week about my new toy, Metallica pinball. 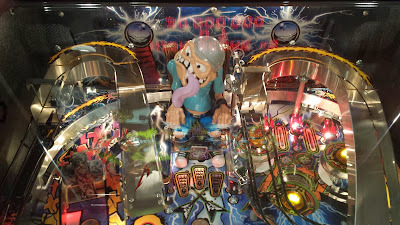 With all of the above to do, I'll need to squeeze in some time to play this guy. So far it has been pretty fun, although a bit challenging. I really need to practice more. I'm weak. A few weeks ago I discovered that Metallica pinball was a thing, and it has been eating at me ever since. So we went up to our trusty arcade store and bought one. It was delivered tonight! I have only played a few games, but so far so good. 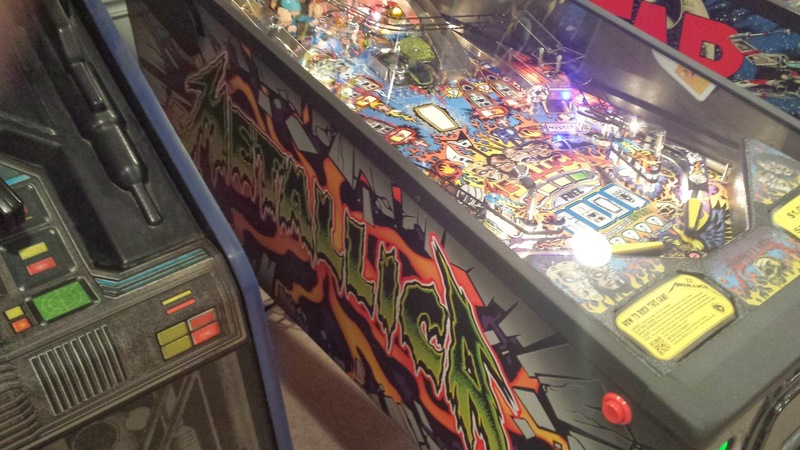 Pinball to Metallica music just makes sense. I've attached a few pictures of the game. 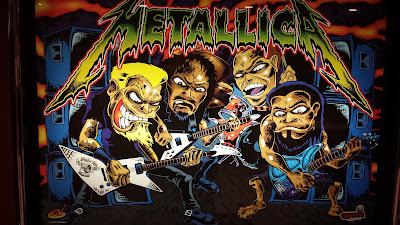 The artwork is amazing, and of course, so is the music. There was even a setting to turn off the profanity which is much appreciated. My kids play around with the games, so that would have been trouble. Out of the box, X: Rebirth does not give you many options for controlling ships that you own. Have no fear though, the intrepid modding community has already started work on a solution. Introducing the Manual Command Extension! Included at the time of this writing: Hold your Position, Move to My Position and Follow Me. The ships have to be in your squad, but other than that you can give them rudimentary commands! It's a great start considering the game has only been out a few days. It has been a while since I did a Q&A on this blog. It's something I hope to change. Today we talk to Chris Parsons, the made behind the space sim, Sol Trader. It is an indie effort and shows a lot of promise. You can even get Alpha access to the game through a small purchase. 1) Can you tell the readers a bit about your game, Sol Trader? Sol Trader is designed as a cross between two classic games: Elite and Asteroids. It's meant to be a thinking person's space blaster game: something that you can have lots of fun playing straight away, but which will draw you into a complex simulation with a full history and independent AI characters with their own motivations and goals. 2) What are some of the inspirations behind Sol Trader? The original Elite is my primary inspiration. I remember playing it with a friend aged about 13 on his BBC Micro and being enthralled with the wireframe 3D graphics and the endless worlds to explore. I loved the idea of discovering profitable trade routes and upgrading my ship. I also really like some of the character creation ideas from the original Oubliette, and the historical generation ideas from Dwarf Fortress. 3) I love space trading games, what makes yours different than other games in the genre? There are some colorful character creation mechanics, too. Instead of just rolling some random stats, your starting skills and attributes are determined by your parents, your upbringing and the career choices you make. Time will be modeled in the creation process: the more skills and experience you aim for, the older you'll be and the more likely you'll get injured and suffer the effects of aging before the game even begins. This generation process is also applied to AI characters, leading to a complex generated history of events which you'll gradually discover you interact with different characters. 4) How does the economy work in Sol Trader? The markets are coded realistically with different prices for buying and selling goods. Each planet produces and consumes a number of goods each turn which drives the supply and demand for a particular planet. Prices are determined by this supply and demand, so if a market runs out of a particular good, the price will automatically adjust to compensate. There are a number of AI agents buying and selling in the markets, so prices can change very quickly. This can lead to some interesting effects: a trader can turn up just before you sell a load of metals at a profit, and dump a whole shipment on the market, dropping the price for a while until the demand picks up again! 5) Did you code the engine, or are you using a system like Unity? I hand coded the engine myself using SDL and OpenGL. My programming career began in games development: years ago I worked on the PC games Republic: The Revolution and Evil Genius, so I had some idea of where to start with my own engine. It's been a bit of a slog but I've learnt a huge amount, especially about graphics programming, and this learning is partly what keeps me motivated to continue working on the game. 6) What platforms is Sol Trader available on? At the moment it's available for Windows and OSX. There is some interest in a Linux port: if there are enough players for it to make sense I'll take a look at that in the future. 7) As an indie developer, how do you keep focused on the project and motivated? I'm assuming you do this in your free time. It's difficult, to be sure. Thankfully, my 'regular work' is flexible: I work as a freelance programmer, trainer and agile coach so I am able to spend some time on Sol during the day. Ultimately I love working on games, so it's much easier for me to keep going with this project than others I've tried in the past. 8) Access to the game can get gained by purchasing the Alpha. How has this model affected your development? Do you feel more of a responsibility to work on the game since people have paid for it? Yes, I do feel a sense of responsibility, although it's more of a motivating factor than a pressure. Each time someone pays for the game, even in it's current unfinished state, it's an enormous boost to my morale and focus. Games take a huge amount of time and effort to write, especially when you're doing it part time, and I'm tremendously grateful for every early supporter. After that I need to finish the code for firing of depleted uranium shells. Currently they (rather suicidally) fire from the center of your ship, so I need to leverage new positional code to make them fire from the guns and give them a proper calculated velocity. 10) Have any future plans you'd like to share? I'm hoping for a solid new version with more gameplay finished by Christmas, along with a new more promotional video. Watch this space! For the past day, I have been stuck trying to complete the tutorial. Specifically, the part where you are supposed to buy and sell 100 e-cells. From the looks of it, people are stuck at all parts. I finally got by this mission today, here is how. 1) Freighter not buying E-Cells? Taking the side mission seems like it overrides your buy order. So you may want to wait for the freighter to complete his mission of buying the e-cells before taking the other one. 2) Freighter bought the goods, but won't deliver them? This one took a while for me, I went to the destination system and waited. I watched the freighter via map using the SM option in Property Info. He slowly made his way to me. Once he arrived, I made the sell order. 3) Freighter at destination but won't sell? Have too many trips planned? This solution work for other issues as well. For me, this fixed my problem and I was successfully able to complete the mission. This thread is what got me the saved game answer. One of the most enjoyable activities in the X series is capture a ship. In X Rebirth you can also do that. This simple guide is for capturing small ships. Capital ships require Marines. So to capture a small ship, just do the following steps. 1) Hire a pilot. You must have one aboard if you want to claim an abandoned ship. Be sure to ask other ships where you can find one, it saves a lot of time. 2) Attack your target. Go slow and get his hull low, be careful not to destroy your prize. You will hopefully see an escape pod jettison from the ship, unless they are being stubborn and going down with it. 3) Once abandoned, get close and bring up the claim menu while targeting the vessel. You should see a pod leave your ship and attach to the target. Eve Online and I actually have a long history. I think my account there is around 7 years old. The problem is, I can never seem to spend more than a month or two there before I call it quits. But the game always end up drawing me back. I've played Eve mostly for its economic systems. Combat never really grabbed me, but the lure of making millions of isk through trading or manufacturing does bring me back. I've never been particularly good at it, as I always start off strong, but lose interest in the end. The problem is that it ends up feeling too much like work. Most of it ends up devolving into a lot of traveling. Unless you are doing station trading, hauling goods from one system to another ends up being a lot of traveling. To manufacture goods, you need raw materials. Unless you mine these yourself, you are going to have to buy them. Whether you find a low priced sell order, or place your own buy orders... you're going to be traveling. I suppose you could contract it delivery, but that takes time. Just writing this post has lessened my desire to play Eve. The good news is that X Rebirth is out today! That should give me my space fix. More on that next week. One game I have been playing lately is Europa Universalis 4. Most of my time has been spent playing as Venice, but the lure of exploration has been nagging at me. My go to country for that is usually Portugal. I've been thinking of starting up a game as them, but an announcement has made me hold off. Paradox announced the first expansion for EU4: Conquest of Paradise. It focuses mostly on the Americas, with one big new feature. In the expansion, you can actually have a randomized Americas. This is a first for any Paradox game, they have always used a static map. So you will truly be able to explore the New World if you so choose. It'll be interesting to see how the Native American factions/AI adjust to this randomized setting. In addition to the map, those Native American factions will see new options and more depth. I'm pretty excited about the expansion, enough so that I may hold off on my exploration plans until it arrives. December 11th is the due date, which will be here before we know it. There is plenty to do between now and then, like X Rebirth and the XBox One. I'm in a bit of a MMO funk lately. I have not really been playing much of anything, although I am still subscribed to SWTOR. It's not anything wrong with the game really, it's a problem with me. It's a relatively new problem too, which has not happened to me in the past. I just don't feel like dealing with the overhead of a MMO. For example, my gear in SWTOR is out of date. I have no desire to fix that problem. It's involve me crafting mods on various characters, visiting vendors, going to the AH... bleh. Then there is the trash. I still have story stuff to finish in SWTOR, but I don't feel like dealing with all the trash mobs I'd have to go through to get to the good bits. So I have not really seen any advancement for a while now. This may just be a temporary condition, or it could be a sign of me losing interest in MMO's. Don't get me wrong, I still love the idea of them and reading about them. It's just the actual playing of them that I haven't been in the mood for. So it has finally happened, Blockbuster is shutting down. It was inevitable I suppose, but it is still a shock to me. I have such fond memories of going to Blockbuster as a kid. Sure, we had small movie rental places, but they were nothing like Blockbuster and their selection. The one that opened near us was within walking distance. I don't know how many times I walked up there to rent a Genesis game or the latest movie. Such great memories. On the downside, it did put the smaller rental shops out of business. I actually still use Blockbuster today, their mail service in particular. Sadly, this is also being shut down. I have a home projector and a 2.4:1 aspect ratio screen. So Blu-Rays are pretty much the only way for me to get content at that aspect ratio. Streaming is often at 1.85:1, which won't use up all of my screen. I guess I'll have to look into NetFlix, although I wonder if their mail service will also be discontinued at some point. I don't really want to start buying every Blu-Ray, so I might be out of luck filling up my screen. Over the weekend, Mythic had a little surprise for us. They disabled the subscription free and activated everyone account. That means if you ever played WAR, and were not banned, you can now play again! So for the next month and a half, WAR will be free to play. In the announcement, they mention there will be NPC's to power you up. I did a quick run through of the capital and did not see them, so they may be adding them soon. I expect these new NPC's to boost Character Rank to 40 and maybe Renown Rank too. The announcement also says "other unique experiences", which is a complete mystery to me. Once I find out what they are I'll be sure to cover it ;) Honestly, it's feels good to post about WAR again. I'm pretty interested to see what the free to play change does to the server populations. The fine folks over at Stratics ( go check out their new website ) are holing an Extra Life event to raise money for charity. As a part of this event, they will be giving away a $15 Jinx Gift Card. If you're not familiar with Jinx, they sell gaming themed t-shirts. To get started go here, then click on the Gift Box icon on the right side of the screen. Sign in and complete some missions. Use the points to purchase lottery tickets. The winner will be chosen automatically at the end of the event ( November 3rd at 1pm EST ). That's all there is too it!